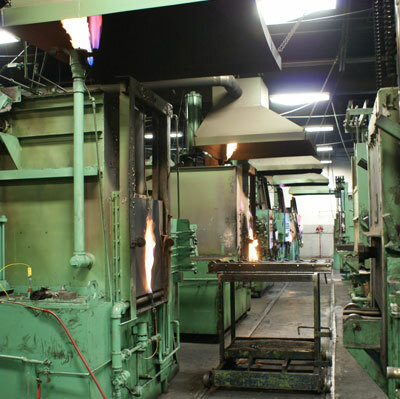 Pace Engineering’s heat treating department is one of our of our core competencies. Pace has three internal quench furnaces with accompanying draws and four induction scanners all controlled from a central computer that monitor the process on ever piece of steel heat-treated. The maximum induction hardened part can exceed 8” in diameter and 8’ in length. The twin 200kw power supplies allow case depths of .500” deep. Complementing this array of heat-treating equipment is a complete metallurgical laboratory equipped with destructive and non-destructive testing equipment.